Sætre 1944 (From Ref. 1). 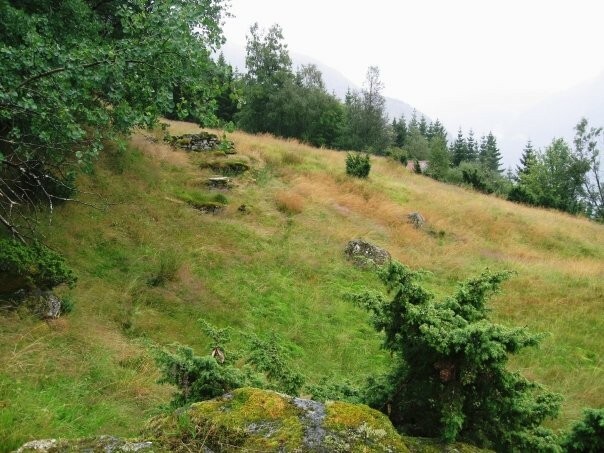 Skåra meadows on top. never had moved away") Cover photo of the book Ref. 2. 1. Anders Monsen Takle b. 4 AUG 1816, Indre Takle, (son of Mons Aslaksen Takle and Magnhild Jonsdtr. Hauge). marr. 5 OCT 1844, Brekke church, Haldis Johannesdtr. Yt. Oppedal, b. 26 APR 1822, Oppedal, Gulen, (dtr. of Johannes Monsen and Synneva Hansdtr. Oppedal, chr. May 3), got 5 NOV 1877 a 5-year contract to stay at the farm at a value of Nkr 170. Immigrated to USA on National Line from Bergen 13 MAY 1885, d. 12 FEB 1899 Iowa, bur. together with Orloug. Anders died 5 NOV 1875, Sætre, Brekke, Gulen. In 1845 he got a contract on the place Skåra from farmer Johannes Ivarsen Sætre. He was probably the first farmer on this place. Thus he obviously was the one who built house and barn of timber with cellars to keep the livestock. This would give heat to the house during winters. The remaining foundations show that the house was expanded several times and that there were at least two rooms in the house. The census of 31 Dec 1865 shows 6 persons on "Skaaren" ("Brække local parish in Ladvik main parish, Asheim school district"). 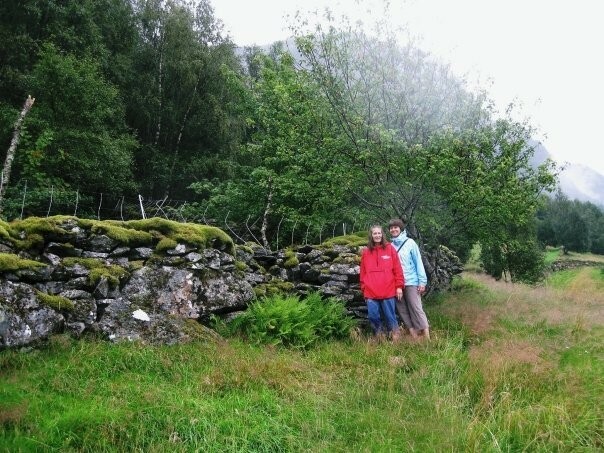 Anders Monsen ("Small farmer with rented land") was 50 years old, wife Haldis Johannesdtr, 34? years, and sons Mathias 11 years, Aslak 8 years, and Hans 4 years. They had 3 cows, 9 sheep and harvested 1/2 barrels oats and 1/2 barrels potatoes. The census of 31 Dec 1875 shows 2 persons at Sætre. Haldis Johannnesdtr. 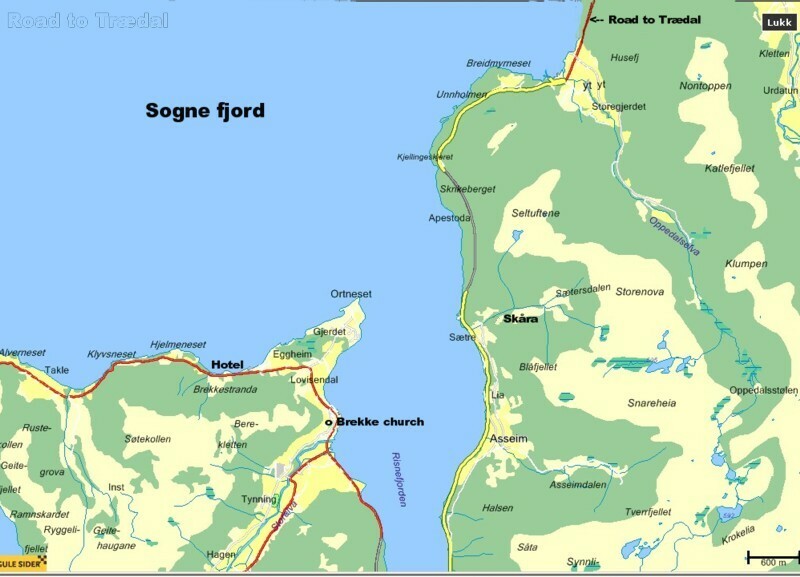 Sætre, "Housewife, widow with land", b. 1822 and Hans Andersen, son, b. 1862. They had 4 cows and 12 sheep and the harvest in 1875 was 3/8 barrels of mixed grain and 1 barrel of potatoes. Alslak, b. 1858, was working and spent the nights at Sætre farm (Matr. lpnr. 31.c). He had one sheep. Mathias, b. 1855, and Synøve, b. 1848, were working and spent the nights at Asheim (lpnr. 38), their sister Martha's farm. He had one sheep and Synøve had two. The census of 3 Dec 1900 show 5 persons on Sætre ("Farm No. 1, Lavik and Brekke district"), Johannes Larson b. 1848, Eivindvik, ("Farmer with rented land"), wife Synneva Andersdotter b. 1847, and children: Albert Johan b. 1886, Bendik b. 1892 and Andrine b. 1877. They harvested grain, potatoes, and had livestock. 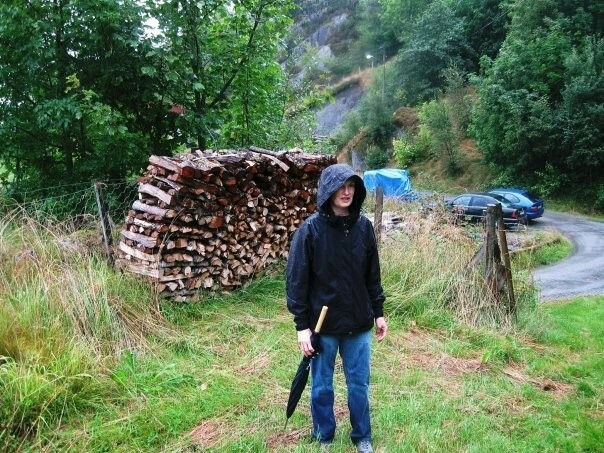 Sjur was working and living at another farm, Øvre Haugland in Brekke. Brekke church, Tor Iversen Asheim. Lived on Asheim (lpnr. 38), d. 8 JUN 1898, Asheim. 2. ii Synneve Andersdtr. b. 25 SEP 1848.
iii Johannes Andersen Sætre b. 23 MAR 1850, Sætre, chr. 28 MAR Brekke church. To USA, marr. widow Ingeborg Hansdtr. Væreide, b. 26 SEP 1844, Brekke. Johannes d. 1 JUN 1891 USA. Cunard Line together with Mathias and Hans. Visited Brekke in 1891. 3. v Mathias Andersen b. 2 FEB 1855. To USA. National Line 19 APR 1881. Returned to Eivindvik, (Fagerbakke, Fonnevika, Eivindvik), marr. 1919 Janna Karine Johannesdt. b. 1885, Indre Oppedal. They had a son Alf Johan, f. NOV 1920. 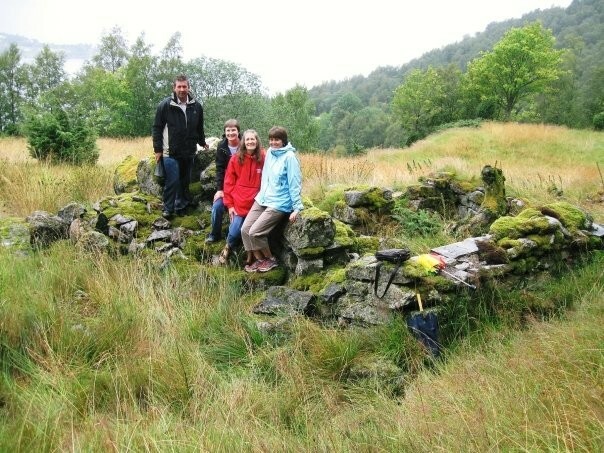 Aslak d. 1929 and his widow moved after few years to Bergen where she had family. vii Hans Andersen Sætre b. 09 FEB 1861, Sætre, chr. 9 FEB Brekke church To USA, d. 15 JAN 1898. 2. Synneve Andersdtr. Sætre b. 25 SEP 1848, Sætre, chr. 1 OKT Brekke church, marr. 29 OKT 1875, Johannes Larsson Napsholmen, b. 1849, Eivindvik. Synneva died in 1932. Working at an age of 18 at Yndesdal farm in Brekke. Parents of Johannes died (lost at sea?) and 12 year old sent to foster at Asheim where Orloug was born. 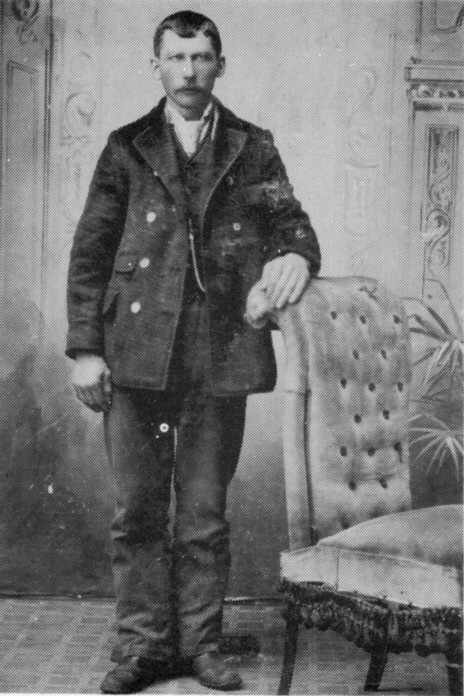 He got in 1876 contract on Skåra, d. ca 1940.
i Andrine Hansine Johannesdtr. b. 14 MAR 1877, Sætre. ii Johan Annanias Johannessen b. 12 JUL 1878, Sætre. iv Bertine Malene Johannesdtr. b. 26 DEC 1883, Sætre. v Albert Johan Johannessen b. 21 APR 1885, Sætre, marr. 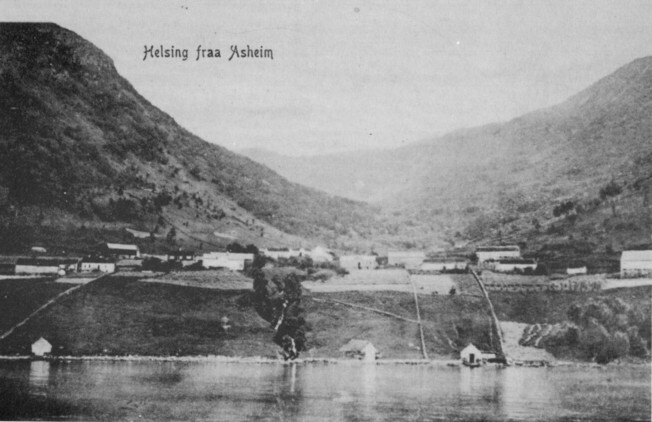 1909 Andrine Petrine Halvorsdtr., got the farm Nybø in Lavik. 5. vi Sjur Joakhim Johannnessen b. 4 NOV 1886, Sætre. vii Haldis Johannesdtr. b. 25 APR 1888, Sætre, d. 10 JAN 1893.
took a swim in a lake there. But the water was cold so that he got cramps and drowned. 3. Mathias Andersen Sætre b. 2 FEB 1855, Sætre, marr. 23 DEC 1882 USA, Orloug Johannesdtr. Asheim, b. 8 MAR 1859, Asheim, (dtr. of Johannes Olsen Asheim og Brita Lassesdtr. Trædal). Mathias died 18 APR 1931, USA, bur: Fairview cem., Story City, IA. To USA 29 APR 1879 from Bergen with Cunard Line. Orloug left for USA from Bergen 4 MAY 1881 with National Line. 6. i Emil (Johan) John Anderson. 3a. Aslak Oskar Andersen Sætre, b. 10 JAN 1858, Sætre, marr.1919 Janna Karine Johannesdt. Oppedal, b.1885, Indre Oppedal..
ii Alf Johan Sæthre b. 12 Nov. 1920, Eivindvik. Moved to Bergen. Britt Unni Sæthre b. 1955, marr. Tor Delin Fredriksen. Living in Bergen. 4. Ludvig Johannessen Sætre b. 13 JAN 1880, marr. Botilde Hansdtr. Oppedal, b. 4 DEC 1880. Ludvig died i 1956. Got in 1908 farm Grimstad in Eivindvik. i Henriette Ludvigsdtr. b. 18 JAN 1905, marr. Johannes Johannessen Kjelby, Hjartås, Gulen. Henriette d. 6 DEC 1935.
ii Hans Magnus Ludvigsen b. 21 OKT 1907, marr. Olga Torsteinsen. He lived in Bergen. 8. iii Sverre Johannes Ludvigsen b. 25 JUL 1913. 9. iv Leif Brynjulf Ludvigsen b. 23 FEB 1922. 5. Sjur Joakhim Johannessen b. 4 NOV 1886, chr. 21 NOV, Brekke church (Testes: Klaus Olsen, Ole Klaussen, Lasse Hanssen, Orlaug Ivarsdtr, Ingeborg Hansdatter), marr. 26 FEB 1915, Bergen, Jørgine Nilsdtr. Nordnes, b. 20 MAY 1889, Sogndal in Sogn, d. 16 JAN 1961, Åsane. Jørgine went from Bergen to Stanhope 28 May 1909 on Canadian Pacific together with Miss Gunhild Johannesen Lomelde (her aunt?) who had been home on visit. Sjur was alone on Skåra with his little brother Bendik and his old parents. It was hard work at the farm and he was often worn out. In addition much work was required to be done at the main farm. A new pier was being built at Brekke and Sjur got a contract to deliver building stones. 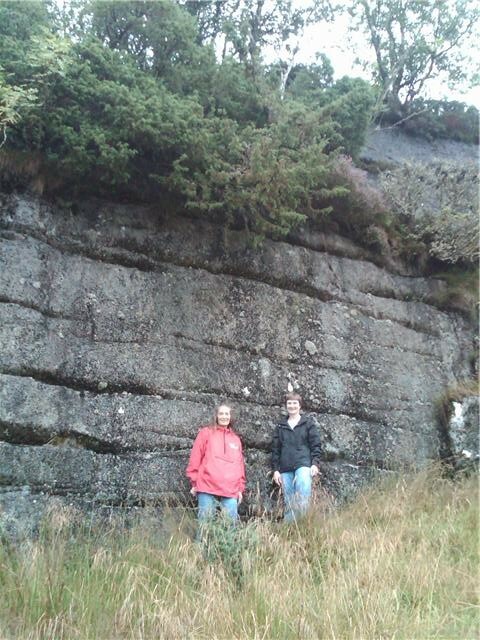 He managed to collect suitable stones at Skåra. 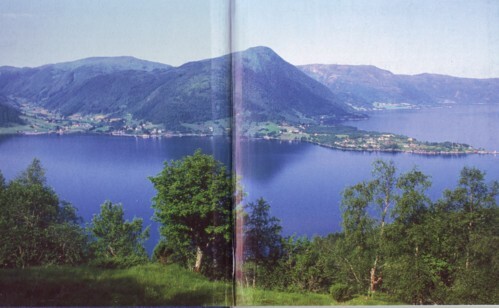 He dragged the stones down to the fjord on sledges made of twigs. 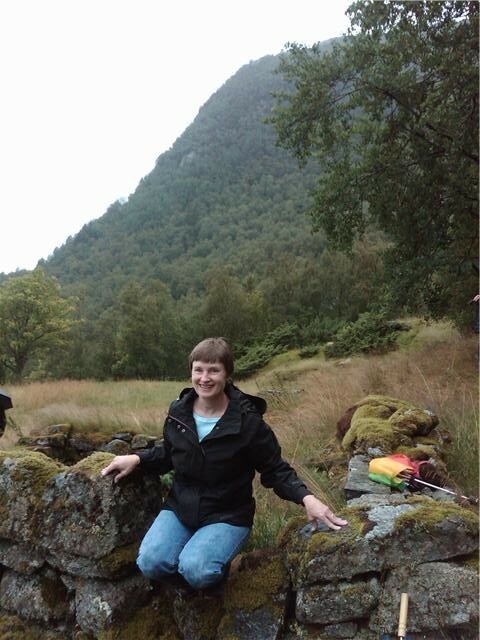 Other people carried the stones across the fjord on rafts. 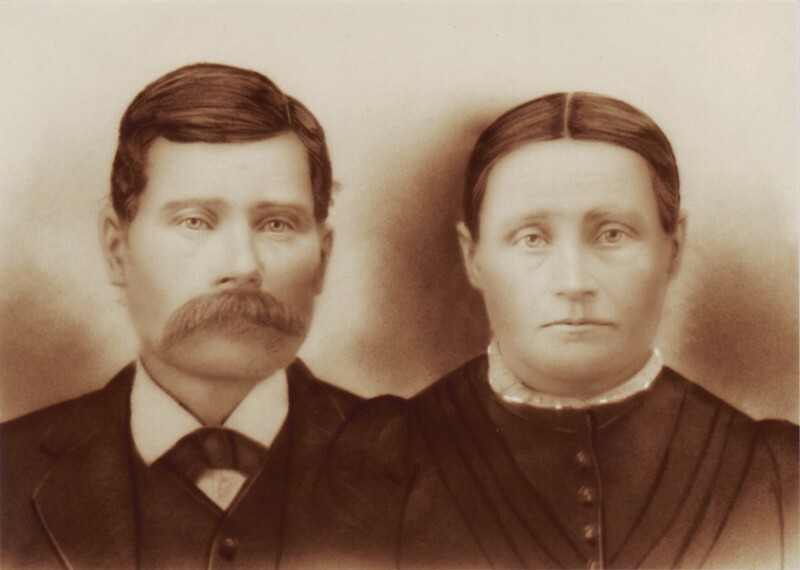 Now he earned enough money so that he in 1905/06 could go to Story City, Iowa, where his wife had an aunt (Anna Fardal?). He worked at farms and enjoyed being there. His wife worked for the Major and learned English very well. In 1914 his parents were old and alone at Skåra and his mother was ill. He decided to return and they barely made it via England before the war started. 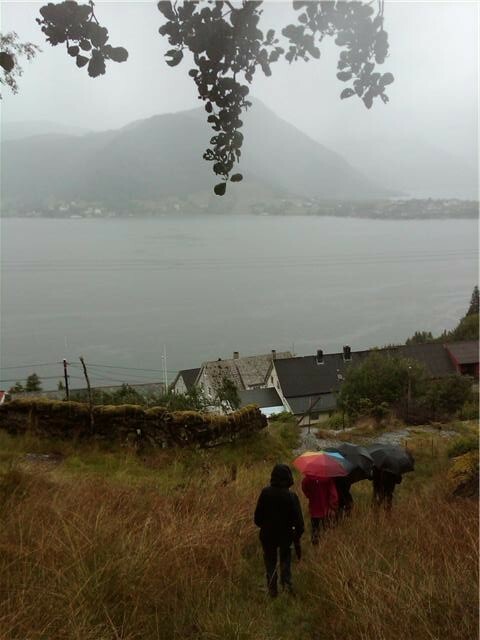 A man from Oppedal told him that a farm was for sale at Hordvik north of Bergen and he went to see it. It suited him fine since he would not have any duties to land owners. His wife wanted to know if it was close to the sea. “No, it was not far!” (In reality it was almost 2 miles). Now he could take his parents with him to the new farm. 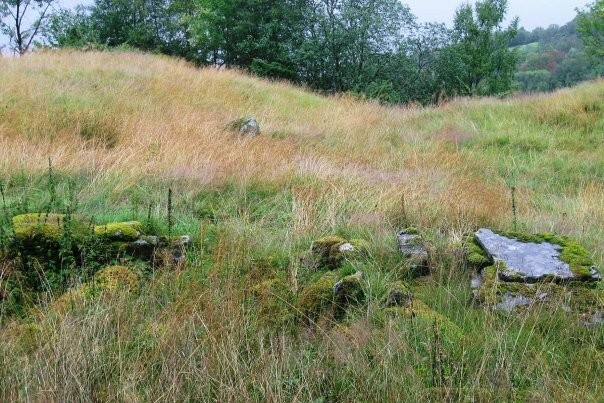 He sold the old house at Skåra which was rebuilt at Vik, a village further inwards along the Sogne fjord. It was already a cart road to the farm so that he could have a horse for transport and work. He made his new house of one floor and in 1921 he added a top floor and loft. Sjur was called "Skårsjuren" (Sjur of Skår) and got the reputation of being very clever with the scythe. In the US he was active playing baseball and was in the finals every July 4th for Story City. In Norway, where this type of sports were almost non-existing he enjoyed very much all sorts of local sport activities which also became popular for his children. Sjur remembered his first day at school. The teacher pulled down a map and suddenly an insect sat on it. Sjur shouted and pointed: “There is an insect”. The teacher went mad being interrupted and hit him with his stick. Many years later Sjur met him on a passenger boat: “Probably you do not remember me, but the first day at school you beat me with your stick!”. The teacher was afraid and hided away since Sjur was tall and strong. 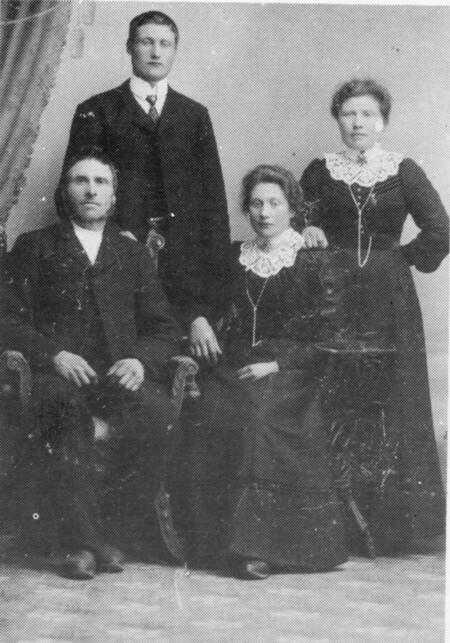 Sjur was confirmed 29 sep 1901 at Brekke church. His ranking was no. 2 and got the best of grades. A friend of him was also being confirmed. His parents put a necktie on their son to show that he was from the main farm, while Sjur only had a scarf. (Told by the family Sætre at the reunion Aug 17 2009 at Hordvik in Åsane near Bergen). 10. i Selma Sjursdtr. b. 1 APR 1915, chr. 14 MAY, Nordnes church..
ii Sigurd Sjursen Sætre b. 1916, Åsane, d. 9 APR 1940. He died on the battleship Eidsvoll in Narvik harbour by torpedo attack by Germans. 11. iii Nils Sjursen b. 1919.
iv Halldis Sjursdtr. Tangberg b. 21 AUG 1921, Åsane, marr. 4 MAR 1955, Sverre Ole Edvard Tangberg, b. 19 DEC 1930, Oslo. 13. vi Alma Bjørg Sjursdtr. Hitland b. 1927. 14. vii Gerd Signe Sjursdtr. b. 18 JAN 1930.
viii Johannes Sjursen Sætre b. 1933, Åsane. 6. Emil (Johan) John Anderson b. 3 DEC 1895 Hamilton County, Iowa, chr. 1 JAN 1896 St. Paul's Lutheran Church, rural Stanhope, Iowa USA,. marr. 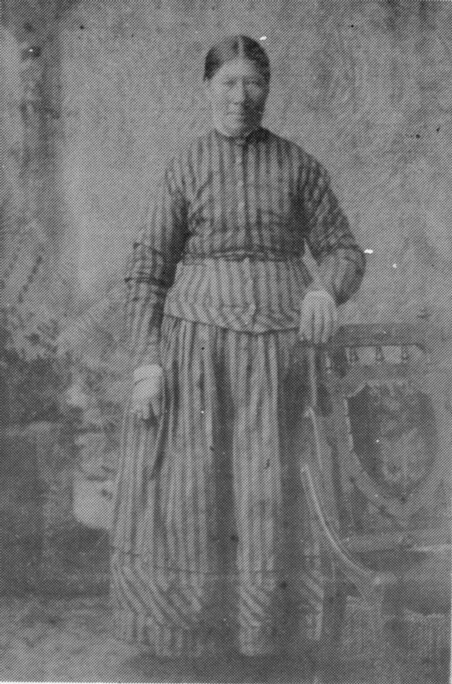 Ruth Minnie Glasscock, 8 OKT 1924, Algona, Iowa. Emil d. 15 DEC 1971, Story City, Iowa USA, bur. 18 DEC 1971, Lake Center Cemetery, rural Stanhope, Iowa. 8. Sverre Johannes Ludvigsen Sætre b. 25 JUL 1913, Grimstad, Gulen, marr. Astri Johannesdtr. Hjartholm, b. 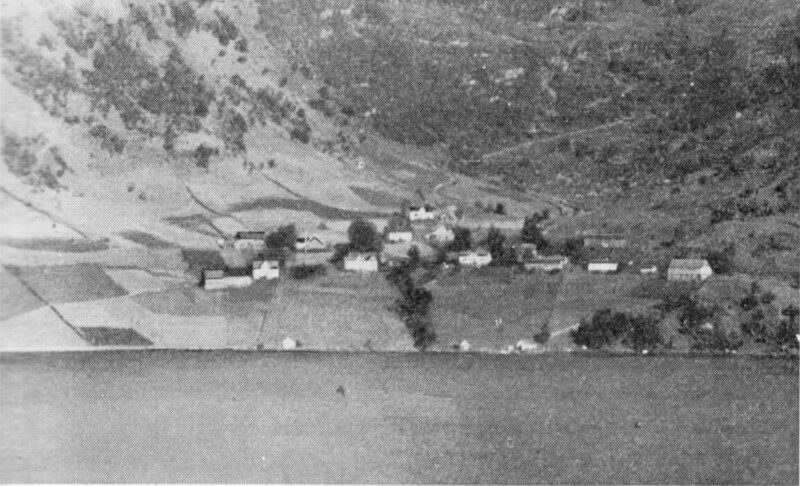 6 APR 1915, Hjartholm, Gulen. i Johan Kåre Sætre b. 1937, Hjartholm, resident in Oslo. ii Leif Birger Sætre b. 1943, Hjartholm. iii Hanna Sætre b. 1945, Hjartholm. 9. Leif Brynjulf Ludvigsen Sætre b. 23 FEB 1922, marr. 11 NOV 1950, Borgny Ivarsdtr. 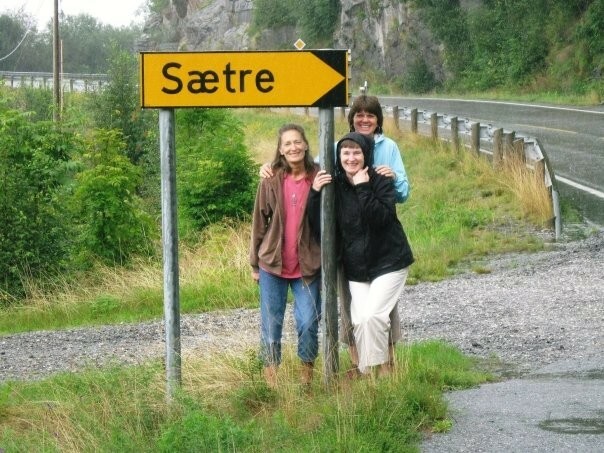 Sætre, b. 8 FEB 1931, Hjartholm, resident Brekke. i Laila Bothilde Longva b. 1951, Hjartholm, resident 6290 Haramsøya, Haram. ii Idar Bjørn Sætre b. 1956, Hjartholm, resident in Fjaler. 10. Selma Sjursdtr. Sætre b. 1 APR 1915, Nordnes, Sogndal, marr. 30 AUG 1946, Sigurd Lomelde, b. 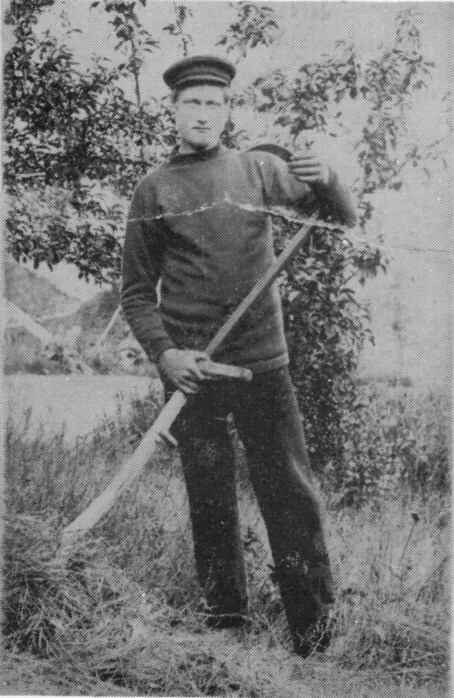 11 SEP 1915, Sogndal, farmer Lomelde. i Sigurd Sigurdsen Lomelde b. 1946, Åsane, farmer Lomelde. ii Jarle Sigurdsen Lomelde b. 1948, Sogndal. 11. Nils Sjursen Sætre b. 1919, Åsane, marr. 5 JUN 1948, Haldis Lomelde, b. 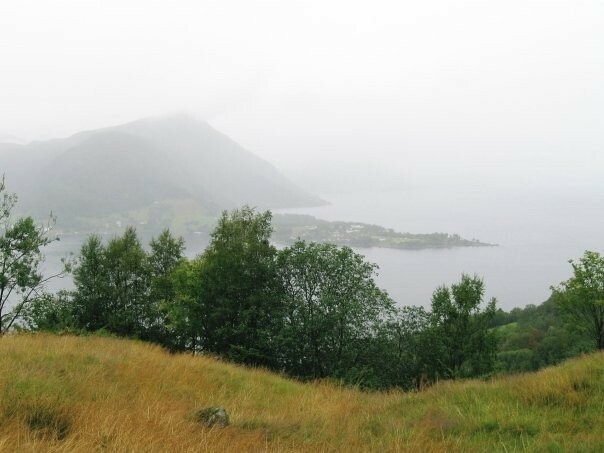 14 MAY 1921, Sogndal, Sogn. i Gunhild Nilsdtr. Slinde b. 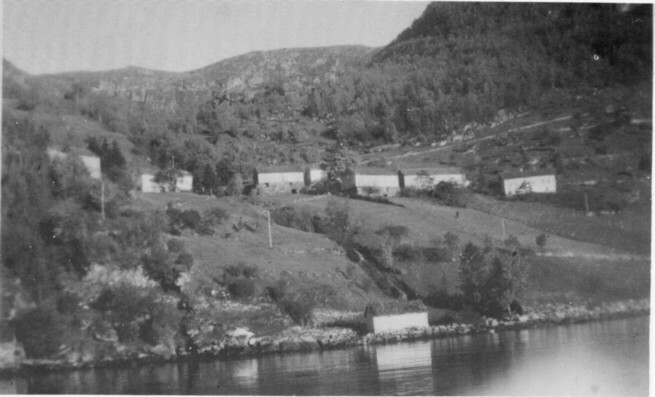 1949, Åsane, resident Nornes, 6856 Sogndal. ii Sigurd Nilsen Sætre b. 1950, Åsane, gbr. Nornes, 6856 Sogndal. iii Sveinung Nilsen Sætre b. 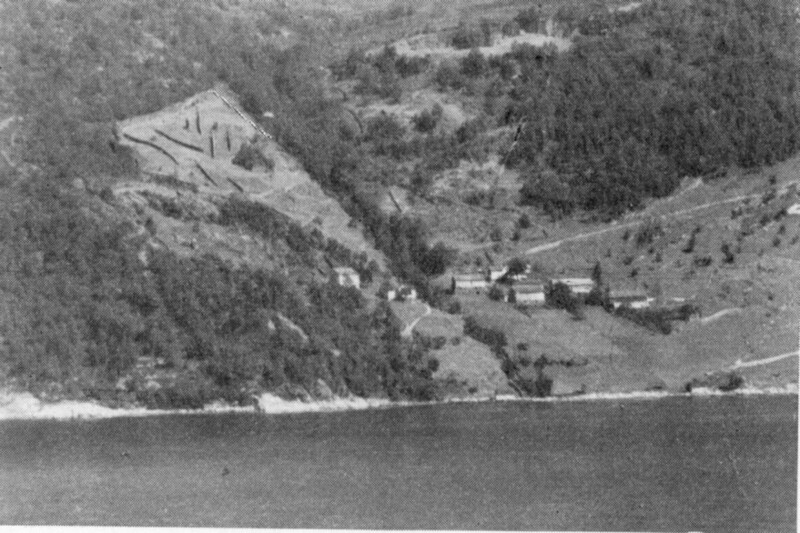 1952, Åsane, resident 6856 Sogndal. 12. Leif Sjursen Sætre b. 5 JUN 1924, Åsane, marr. 4 OKT 1947, Dagny Davidsen, b. 28 DEC 1924, Åsane. i Svein Kåre Sætre b. 1950, Åsane. ii Geir Hilmar Sætre b. 1951, Åsane. (He and wife Gro held family reunion at the family farm in Hordvik Aug 17, 2009). iii Edel Dagny Sætre b. 1955, Åsane, resident in Sogndal. iv Jill Laila Sætre b. 1968, Åsane, resident Brandbu, Gran, Oppland. 13. Alma Bjørg Sjursdtr. Sætre b. 1927, Åsane, marr. Martin Hitland, b. 3 APR 1926, Åsane. i Arne Martin Hitland b. 1951, Os pr Bergen, resident Lysekloster, Os. ii Haldor Hitland b. 1957, Os. 14. Gerd Signe Kvamme b. 18 JAN 1930, Hordvik, Åsane, marr. 20 AUG 1949, Einar Kvamme, b. 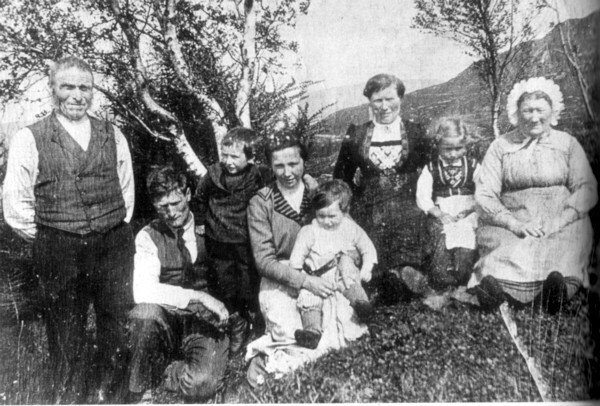 1931, Salhus, resident 5136 Mjølkeråen, Bergen..
i Anne-Karin Kvamme Rikstad b. 1949, Salhus, Åsane, marr. 1974, Tore Rikstad, b. 1949, Hordabø, resident 5937 Bøvågen, Radøy. ii Grethe Sofie Kvamme Meland b. 1953, Salhus, marr. 1986, Roald Meland, b. 1955, resident 5108, Hordvik. iii Evelyn Kvamme Bjørge b. 1954, Salhus, marr. 1975, Atle Bjørge, b. 1952, Åsane, resident 5117, Ulset, Bergen. iv Roald Kvamme b. 1957, Salhus, marr. 1979, Kjersti Soltvedt, b. 1958, Salhus. v Marit Helen Kvamme Hannisdal b. 1962, Salhus, marr. 1989, Magne Kurt Hannisdal, b. 1961, Osterøy, resident 5107 Salhus. 15. Joe Ann Anderson, marr. Arnie. i Pamela Anderson, resident Chicago, IL. 1. Ludvig Engesæter: Brekke Herred, Bind II, Gard, tun og ætt, Bergen 1944. 2. Bjarne Dåe: Brekke sokn, tun og ætt, Brekke sogelag, 2003. 3. Tormod Tynning: Brekke. Gard og Grend, Brekke Sogenemd, 1984. Church books. Census 1865, 1875, 1900. August 15 2009. Photos by Barbara, Neva and Julie. 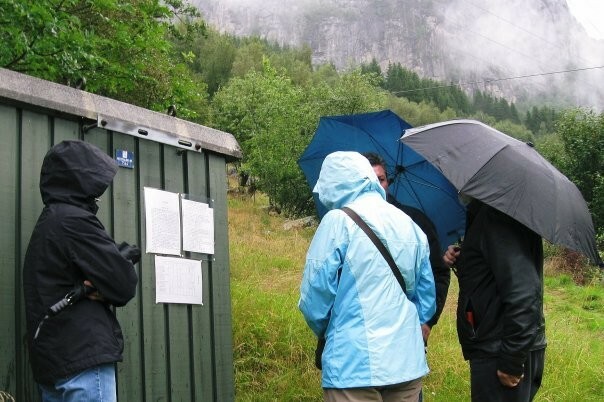 Unfortunately it was heavy rain that day, but that could not stop us! Information board about Skåra and the path. in the world. (Outside of Greenland that is). Please take contact if you have corrections or additions. og rydja meg ein gard. og svik ho inkje hell. And clear myself a farm. I'll never let her down. (A song about a young farmer, optimistic despite difficulties and bad fortune. 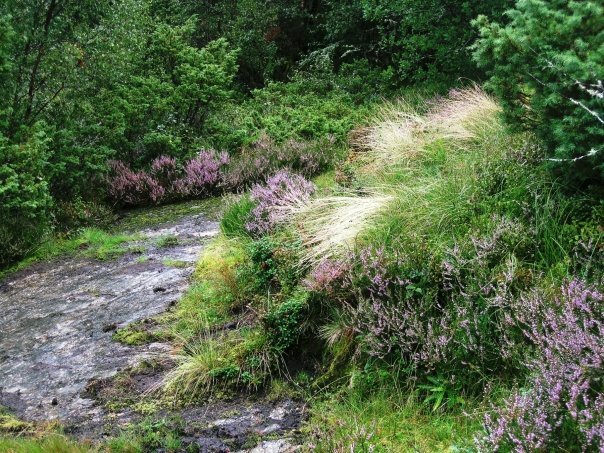 It is based upon the legend of Haavard Hedde christened July 16, 1758).